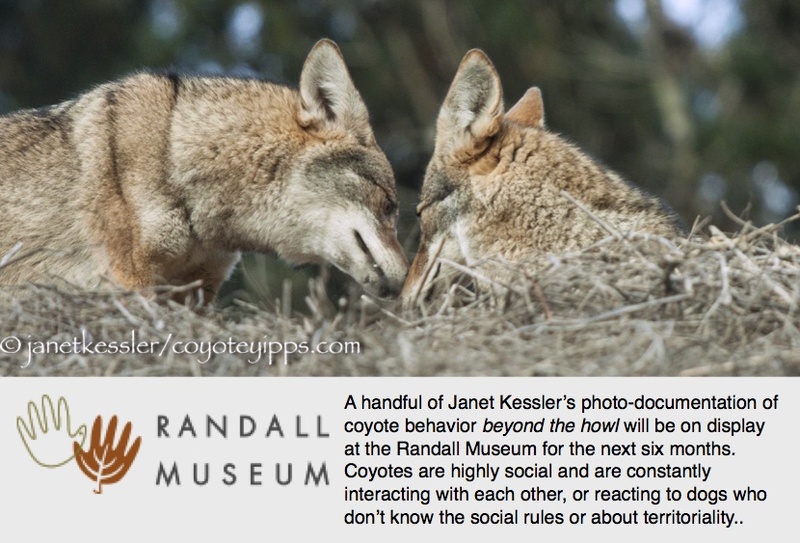 I’ve previously posted photos of coyotes scratching their backs or rubbing on something smelly. They really get into it and can be super-funny, all the way through to their dizzy and dazed look when they are done, which can result from indulging in this activity for too long (last photo). So here are more of these photos to tickle your funny bone! Just remember how hard it is to get to that itchy spot on your back, and how good a back-scratch feels when you hit that spot, and you’ll be able to relate to this! If you press the first photo, you can scroll through the enlarged versions. “Aha!! I know what THIS is because I’ve seen several before. You have to ‘get it’ before it ‘gets you’.” And that’s how coyotes deal with snakes. Only this time it really wasn’t a snake, it was the hose of a sprinkling system. Yikes! When the hose began fighting back with a vicious spurt of spray — you can see this at the very end of the video — the coyote darted quickly away. As for the hose, it sustained some puncture wounds that profusely bled clear water until someone turned the spigot off. And here’s another coyote in a case which involved less “sparring” with his adversary. This coyote has probably had practice: he approached the hose and in the blink-of-an-eye the hose was split asunder. Today, in honor of the longest day of the year, the Summer Solstice and the first day of Summer, I wanted to showcase *long*: long ears, long noses/snouts, long legs, long tubular torsos of our Western coyotes. Evolution has served these animals well: their huge long ears allow them to hear the softest sounds underground in order to know where to hunt. Their long thin snouts are exceptional smelling devices which can also reach with ease into difficult accesses such as rodent tunnel openings. Their long thin legs result in lithe, quick and supple movements which help them jump high, pounce onto their prey, and attain speed. And their tubular torsos have no bulk at all to them: Western coyotes weigh an average of about 30 pounds. Right now, in June and July, they are shedding, so it is easier to see what they really look like under all that fluffy 3-inch winter fur which normally conceals these exceptional assets. Granted that the individuals in these photos may exceed the norm for *longness* of their various body parts, but in doing so, they highlight the general tendencies in the population. What long ears you have! The better to hear it all, even when relaxing! What an incredibly long nose and snout you have! The better to whiff-in the tell-tale nuances of their surroundings, and to reach deeply into tunnels for prey! Long legs and a bulk-less tubular torso: The better to jump, pounce, and run like the wind! I’ve been observing and documenting coyotes and their behavior for over 11 years now. Watching and hearing them is always thrilling, no matter that I see them almost every single day. I try to post photos and information that people can appreciate, enjoy and relate to so that they will be more willing to embrace these very maligned, but truly interesting and very family minded small canids. In this series here, you have a male coyote who is attempting to relieve his bug itches. It made me smile, and hopefully it will make you do the same.